Home » Featured Home » What are the Best Healthcare MBAs You Can Find in New York City? New York City is not only home to a number of the finest business schools in the world—it’s also where you can find some of the best healthcare programs this country has to offer. For those who want to get into healthcare management, options are out there that allow for ambitious business students to take on their MBA and advance healthcare management coursework at the same time. Seeking an advanced degree makes sense from an experience point of view, but also from a financial perspective: the U.S. Bureau of Labor Statistics (BLS) has reported that the median wage for healthcare managers who have bachelor’s degrees was $94,500 per year, while those with a master’s degree usually earn around $15,000 per year more. In New York there are approximately 26,810 healthcare managers with an annual salary is $128,470, which is higher than every other metros except for Washington DC. And demand is growing too — according to the BLS, executives working in healthcare organizations can expect a growth in demand of 17 percent between the years 2014 and 2024, much faster compared to the national average. 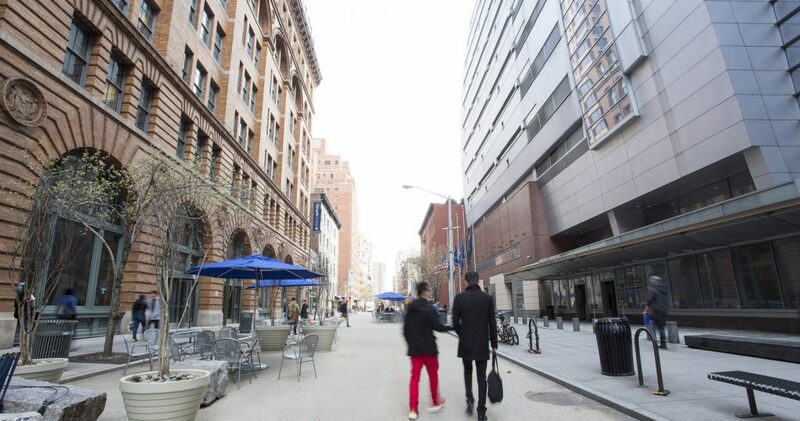 Let’s take a deeper dive to look at New York’s top specialized programs and MBA/Healthcare dual-degree offerings, and see which is best for you. There are two Executive MBA options available at Baruch College’s Zicklin School of Business: the traditional program and the Executive MBA in Healthcare Administration program. The latter is dedicated to those who are already healthcare professionals, but want to learn more about the management side of things. Zicklin’s Executive MBA in Healthcare Administration is one of the few programs in the New York metro that has both AACSB and CAHME accreditation. The program takes 30 months and 49.5 credits to complete. The cohort-based program meets on Tuesday and Thursday evenings, and also includes a 10-day international study tour to help provide a global perspective on the healthcare industry. Zicklin’s Executive MBA in Healthcare Administration is one of the few programs in the New York metro that has both AACSB and CAHME accreditation. The Cornell MHA/MBA at the SC Johnson Graduate School of Management is an 85-credit, 24-month dual degree program. According to the school, graduates have gone on to take management positions in a wide range of healthcare organizations, as well as in the pharmaceutical industry, health insurance, management consulting, financial institutions, state and federal policy agencies, and more. The Johnson MBA provides a base in accounting, finance, economics, marketing, operations management, strategy and leadership, while the MHA delivers a comprehensive overview of the healthcare field. Specialized health focused courses are offered, such as finance, organizational behavior and human resources management, health policy, health care ethics, legal aspects of healthcare, quality improvement, long-term care, health facility planning and design, and supply chain management. In addition to a mix of required and elective courses from both schools, all students participate in a 10-week summer internship, a required capstone course in the Sloan Program in Health Administration and an opportunity to take an immersion learning sequence. Check out more about the program here. This MBA/MPA program is a partnership between NYU Stern School of Business and the Wagner School of Public Service. Students can complete both degrees over the course of three years, which is one year less than what it would take to complete the two degrees separately. 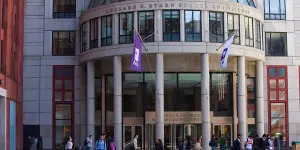 Students enroll full-time and complete courses within the MBA (51 credits) and MPA (33 credits) programs: The first year of the dual degree program is spent studying business courses at NYU Stern, while the second and third years are split between the two schools. Students are able to specialize their MBAs in one of 20 areas, while NYU Wagner provides foundational public policy training and the ability to specialize in policy analysis, international development, nonprofit/public management, or public finance. The Columbia Business School specialized MBA Health and Pharmaceutical Management program combines Columbia’s MBA curriculum of strategy, management, economics, finance, marketing and operations is augmented with healthcare courses, which are all electives and experiential in nature. Specialized coursework includes Healthcare Industry in the 21st Century, Strategy and Competition in Pharmaceuticals and Biotechnology, Economics of Healthcare and Pharmaceuticals, and Forecasting for Drug Development Strategy. These courses are taught by a team of experienced healthcare executives and faculty members. Learn more about the various MBA offerings in the New York metro here.